If you have a Monthly Direct Debit with National Express Bus, you now get 10% off National Express Coach Travel! School trips made easy with Class Pass! Use our operating area map to check where you can use your travelcard. Click on the map to view a larger version. Includes all parts of the Black Country and as far north as Burntwood, Cannock Hednesford and Coven; south to Halesowen and Stourbridge; and west as far as Codsall and Perton. 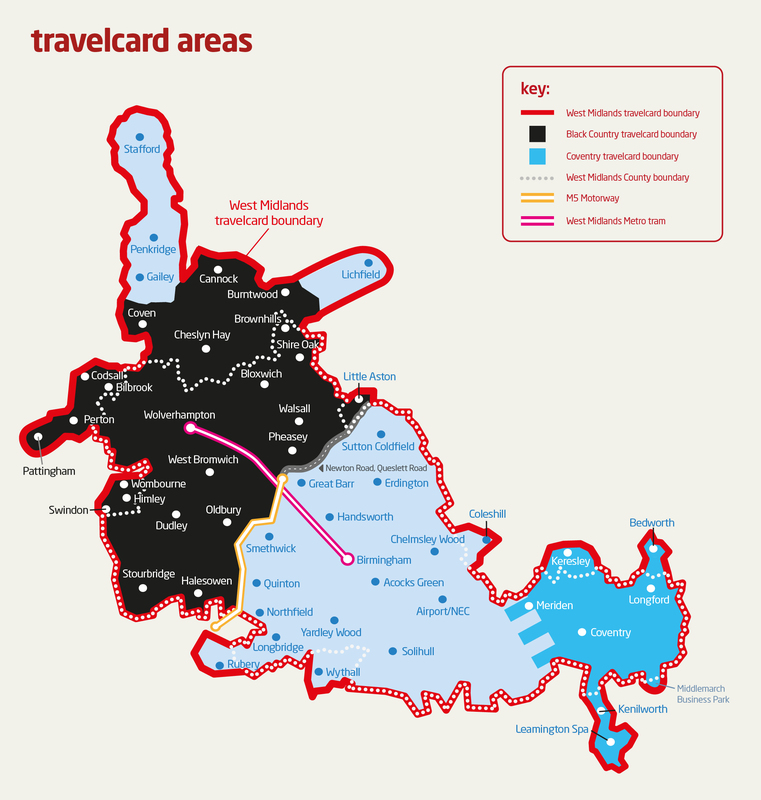 You can purchase a Black Country Travelcard if your journeys will be wholly within this area. Includes central Birmingham, Solihull and parts of Staffordshire not covered by the Black Country area. The area stretches as far north as Stafford and Sutton Coldfield, south to Rubery and Wythall and east to Coleshill. You will need to purchase a West Midlands Travelcard if you intend to travel in this area. The eastern boundary of the area overlaps with the Coventry area around the A452, Meriden. Includes Coventry and surrounding areas as far north as Bedworth and Keresley and along a southern corridor to Kenilworth and Leamington Spa. You can purchase a Coventry Travelcard if your journeys will be wholly within this area. If you intend to use NXWM buses and West Midlands Metro tram you will need to buy a West Midlands Travelcard with a Metro Add-On. Please note: nBus and nNetwork tickets and cards are valid within the West Midlands County and to / from certain other destinations just outside of the county boundary. Please click here for the latest details.